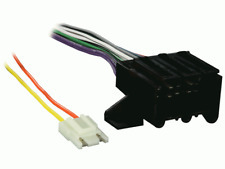 This is the Wire Harness you will need to replace the Factory Radio in most GM vehicles 88-02. GM Wire Harness 88-02 Select Chevy Olds Pontiac Buick. Park Avenue 1988-1994. Century 1988-1996. Grand AM 1990-2000. 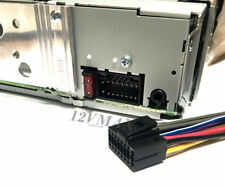 IDatalink ADS HRN-RR-GM5 Interface Harness. works with Maestro ADS-MRR module to allow installation of new receiver in select GM vehicles. 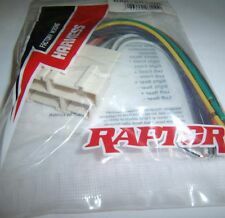 GM vehicle harness (for use with Maestro RR interface). 2008-16 Enclave (Base). Axxess AX-GMCL2-SWC. Radio Installation Kits. Provides NAV outputs (parking brake, reverse, and speed sense). 2003 - 2008 Ascender. 2004 - 2005 Century. 2000 - 2005 Sunfire Saab. 2000 - 2005 Cavalier. PAC AOEM-GM1416 Interface Add Amp To GM Factory Radio. PAC AOEM-GM1416 aoemgm1416. Silverado (not Classic) 2007-2009. 4-Channel interface that provides 2:1 gain and definite attenuation. Not compatible in vehicles that have the "Premium" Bose System (If there are 5 factory EQ presets in the radio then the vehicle is equipped with a "Premium" Bose system). (You no longer need theSWI-JACK ! Below, you will find (2) two different vehicle charts. a port or wire on the back of the radio labeled W/R, REM, Wired Remote, Remote, Rem Cont etc.). Grand Caravan. Use of this interface also allows you to program two radio functions to each SWC button by using short press/long press dual command functionality. The SWI-CP5 works in vehicles with either data or analog SWC. RadioPro3 Radio Retention Interface (RP3GM11) by PAC®. Plug-in installation for vehicles with 24-pin harness. High current 10A accessory output. Savana 2003-2007. Envoy 2002-2009. Canyon 2004-2011. Venture 2003-2005. Installation note: This adapter must be used with the iDatalink Maestro ADS-MRR module and iDatalink Connec ADS-HRN(SR)-GMS05 adapter to connect a new car stereo to your GM-made vehicle. Authorized MAESTRO iDATALINK Dealer. Retains the function of OnStar® when the factory radio is replaced. 2003-2006 CADILLAC ESCALADE ALL TRIM LEVELS —. 2003-2006 CADILLAC ESCALADE ESV ALL TRIM LEVELS —. 2003-2006 CADILLAC ESCALADE EXT ALL TRIM LEVELS —. • For non-OnStar(R) 29-bit 2006-2007 Buick(R) Lucerne, 2007 Cadillac(R) DTS, Escalade & SRX, 2007 Chevrolet(R) Avalanche, Equinox, Silverado (nonclassic), Suburban & Tahoe, 2006-2007 Impala & Monte Carlo, 2007 GMC(R) Acadia, Denali, Sierra (nonclassic) & Yukon, 2007 Pontiac(R) Torrent & 2007 Saturn(R) Outlook. 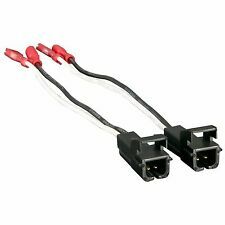 Metra 72-4500 Speaker Connector for Select Buick/Cadillac/Chevy/GMC/Saturn pair. Condition is New. Shipped with USPS First Class Package. • Retains OnStar(R) when the factory radio is replaced. • Maintains a "healthy" status on the Class II databus. • Plug-in installation for vehicles with 24-pin harness. Silverado 1500 2014. (Note1) With Base model radioRPO code IP1. High level speaker input. Sierra 1500 2015-up. Sierra 2015-Up. Canyon 2015-Up. Tahoe 2015-Up. Suburban 2015-Up. Axxess LC-GMRC-044. Radio Installation Kits. Claims of any sort should be lodged within 24 hours of receipt. No claims shall be entertained thereafter. Small in size. Besides cost it is likely to delay the order. 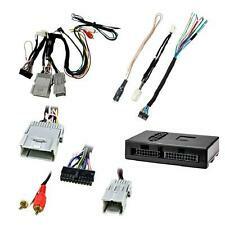 CRUX SOCGM-17 CHEVROLET AFTER MARKET STEREO REPLACEMENT INTERFACE WIRING HARNESS. Retains OnStar® when the factory radio is replaced. Retains lane departure warning system. Retains OnStar Turn-by-Turn voice prompts. VSS (Vehicle Speed Sense) output. Rear seat audio and video (GMRVD2) required. Speaker adapter for Ford Vehicles. Allow the user to retain their factory speaker connectors while installing a new set of speakers without having to splice into factory wiring. It is important to us that if you see our products being used in the lanes, that you have access to obtaining those products. This is the Antenna Adapter you will need to replace the Factory Radio in most GM vehicles 88-06. 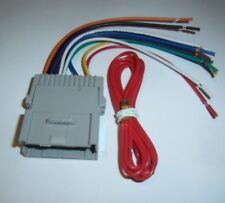 2000-Up General Motors Amplified/Non-Amplified Interface Harness. Covers Class 2/LAN 29/LAN 11 Vehicles. Relay 2005-07. 9-7× 2005-09. Torrent 2007-09. Sunfire 2000-05. Solstice 2006-08. Montana 2000-2005. Interface can be quickly updated if needed from the PAC website using a PAC-UP USB adapter. IDatalink's HRN-RR-GM2 wiring adapter allows you to connect a new car stereo in select 2010-up GM vehicles, working in conjunction with iDatalink's Maestro ADS-MRR module. IDATALINK MAESTRO HRN-RR-GM2. Authentic OEM product. Hide gallery view. Back to Top AP6.0. Steering wheel remote harness w/relay. 2015 Tahoe/Suburban/Yukon must use Revision 1.1.3 or higher and Vehicle Settings revision 2.0.6 or higher. You must use Interface Updater 2.0 to update an RP5-GM51. Provides A/V connections. to the factory video screen and A/V input port. Part Number: HRN-AV-GM5. NEW SEALED IN MANUFACTURES PLASTIC! High level speaker input. Sierra 2500/3500 2015-up. Sierra 1500 2014-up. Canyon 2015-up. Tahoe 2015-up. Suburban 2015-up. Silverado 2500/3500 2015-up. Silverado 1500 2014-up.